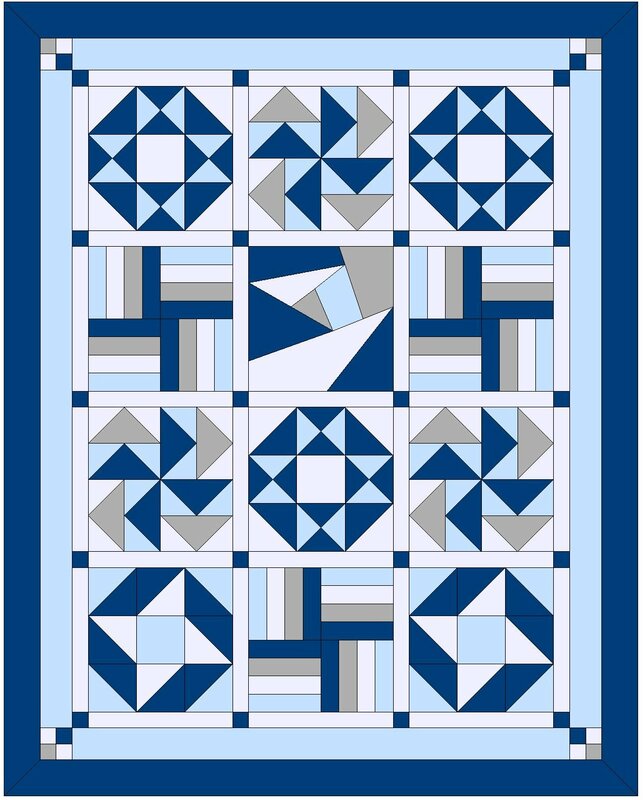 This class is geared towards beginner quilters wanting to expand their quilting skills with rotary cutting and speed piecing in construction of your blocks. You will learn to contruct 4 new pieced blocks and 1 paperpieced block. You will finish your quilt top, learn to ad corner points to your sashings & borders, & miter borders the correct way. You will also learn to quilt each block using a walking foot and show you different ways to bind your quilt. We at Sew Many things are committed to seeing you thru to the end! Finished Quilt Top: 39.5" x 49.5"
Basic Quilting Supplies needed for class!